One Country. 25 Districts. 4 Religions. 4 Races. Different backgrounds. Different beliefs. Different skin colours. But one thing that runs within all their bodies – BLOOD. And did they hesitate to share their blood with people in need? Did they consider for a moment who the recipient of their blood would be – whether he/she would be fair/dark, a Buddhist/Christian/Muslim/Tamil or of a higher/lower caste? NO. Needless to say, the blood donation campaign – the very first event organized solely by the 1st year students of the Faculty of Science – was a tremendous success. 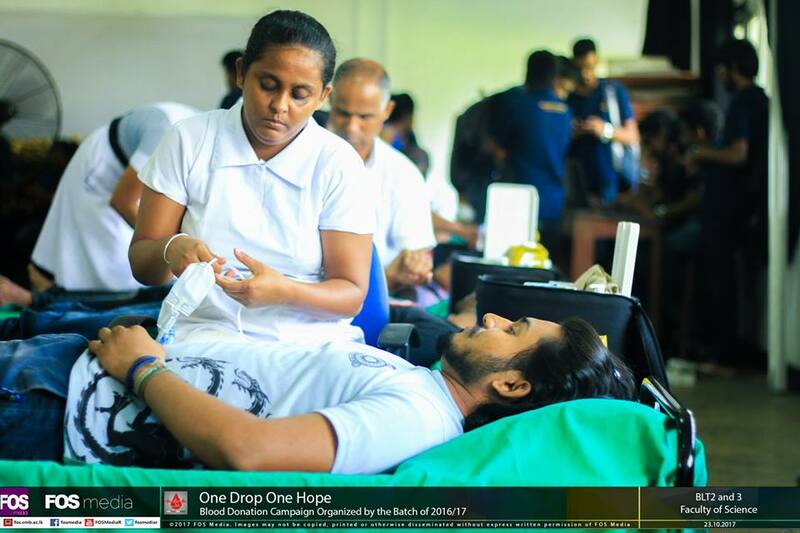 On the 23rd of October 2017, 144 people brought out the heroes within themselves and selflessly donated one pint of their blood with the intention of helping out someone in need; with the hope that one drop of their blood could bring one ray of hope to another person’s life. The turnout was amazing – there was never a span of a minute when there wasn’t a queue of people awaiting their turn to donate their blood. A member of the staff of the Blood Bank herself, said that she was very impressed at the number of willing donors who had arrived at the Faculty of Science premises for this campaign. It was nice to see that our own Dean Prof. K. R. R. Mahanama, along with other Senior Lecturers and University Staff were among the first donors at the campaign. The three chief organizers of the event – Nadeeshani, Janendra and Usitha made sure that everything on that day was carried out smoothly. The staff of the blood bank too put in a lot of effort, ensuring that every donor was eligible to donate, checking up on the donors after their donation for possible after effects and securely storing the received donations. The donors had to go through a series of check-ups for their blood pressure, haemoglobin level and blood group. These check-ups were done to ensure that the person was eligible to be a blood donor, by being one, no harm would come upon him/her and also to ensure that the donation would be safe for a patient to receive. During the donation donors were asked to apply muscle tension exercises to maintain their blood pressure and promote their wellbeing. Thereafter, they were requested to remain in the vicinity for the next 10 minutes so that donor-carers could assist them in case of any after effects such as fainting. 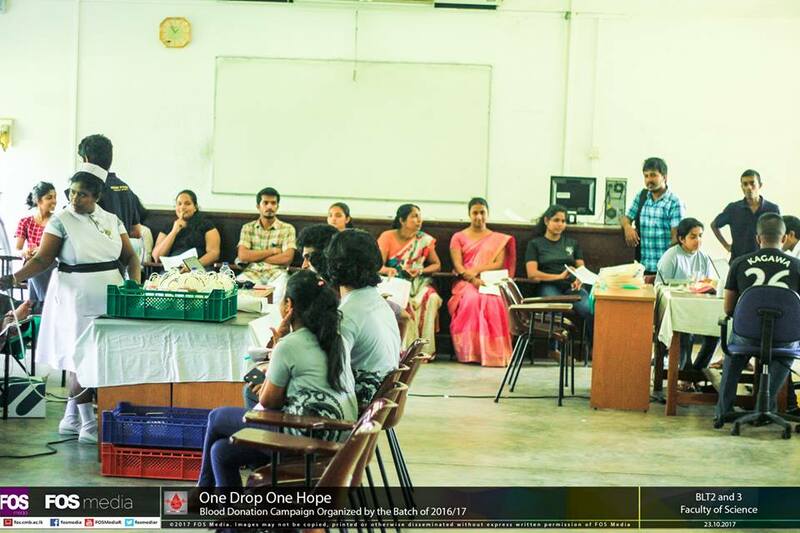 All in all, the campaign was extremely successful and we were able to donate nearly 150 pints of different blood types to the Blood Bank of Sri Lanka. A big Thank You goes to all Blood Donors; it was remarkable to see all of you so willing and enthusiastic to help out those in need of blood.